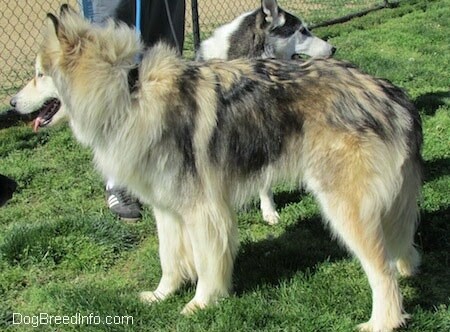 The Native American Indian Dog comes in two distinct sizes, two hair coat lengths and two distinct coat color combinations. It can range in color from silver to black, including a tortoiseshell-colored coat. Dogs that exhibit tortoiseshell coats are considered sacred to the Native Americans. Its coat can be short and dense, two layers thick, of which the undercoat is wind and water proof, to a longhaired overcoat with a dense undercoat. Ears are prick and upright, head broad and wide between the eyes with an angular shaped head tapering down to a slender muzzle. The eyes range in color from brown to amber. They are almond shaped with a sparkle of intelligence looking out on the world. 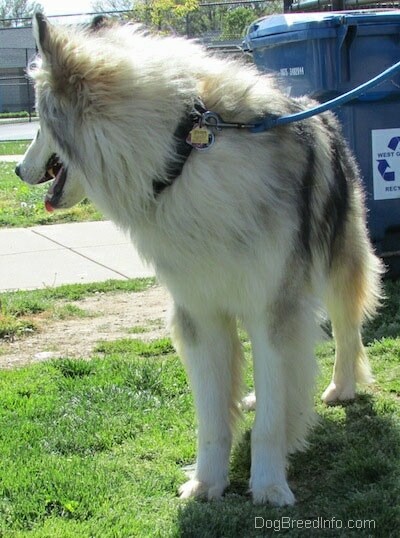 The tail can be tightly curled as in an Alaskan Malamute or Siberian Husky, but preferable breed standards tend toward a long tail held down with sometimes a slight kink or bend in the end. 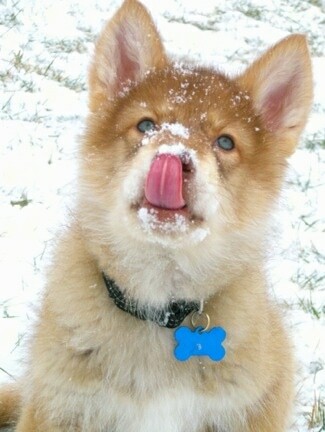 The Native American Indian Dog's intelligence level is extremely high. This breed is highly trainable and eager to please its human companions. It is loyal and protective of its family. Socialize well to avoid it being shy with strangers. The Native American Indian Dog is totally dedicated to its human owners. Native American Indian Dogs are sensitive animals that do well with firm authority, but not harshness. They are very good with children and other animals, including other dogs, household pets as well as livestock. Usually a stern "NO" will stop them in their tracks. They are extremely versatile animals bred to work, as in pulling a sled or hunting whatever game you choose them to hunt. The objective in training this dog is to achieve pack leader status. It is a natural instinct for a dog to have an order in its pack. When we humans live with dogs, we become their pack. The entire pack cooperates under a single leader. Lines are clearly defined. You and all other humans MUST be higher up in the order than the dog. That is the only way your relationship can be a success. The Native American Indian Dog does not do well as an apartment dog or a total housedog. It needs a fenced-in area where it can run and play at will and does not adapt well to a "closed crate" crate-training method. If locked in a crate, it thinks it is being punished and doesn't understand what it did wrong or why it is being punished. A large yard is ideal. This breed prefers the outdoors, your bed or the couch, or wherever its owners happen to be. Native American Indian Dogs require moderate exercise. They need to be taken on a daily, long, brisk walk or jog. While out on the walk the dog must be made to heel beside or behind the person holding the lead, as in a dog's mind the leader leads the way, and that leader needs to be the human. 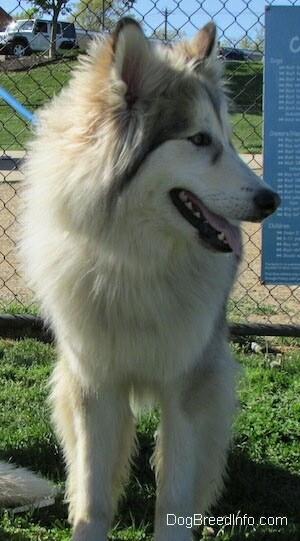 In addition, they will benefit from a large, safe area where they can run free where they will enjoy a daily romp. Energy levels vary from one dog to the next, as in people, all are different. About one pup out of 20 will be the high-energy “run run run” type that make good sled dogs for racing, but on the average, they are a very mellow dog that do not require a lot of room to run. The NAID sheds its undercoat once a year in the spring. Brush the coat during the shedding season to cut back on unwanted hair inside the house. 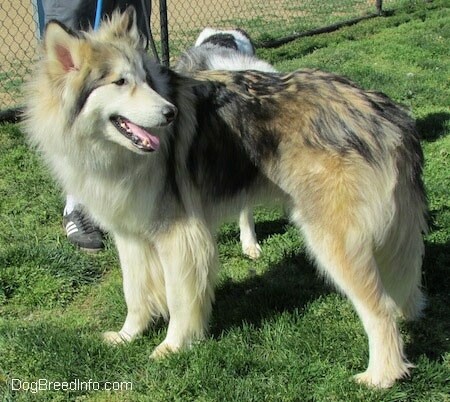 Breeders of the NAID state that the Native American Indian Dog® (NAID®) is being selectively bred to recreate the appearance and versatility of the original dogs of Native Americans. Dogs were the only beast of burden utilized by Native Americans before the Spaniards introduced the horse in the mid-1500s and were an integral part of village life. Dogs would pull a travois carrying the family's belongings, hunt and fish, and were "babysitters" for the children and elderly when the women were gathering berries and herbs. Historical documents authored by missionaries, trappers, explorers and entrepreneurs recorded what life was like for the "Natives" and their dogs and many included drawings, paintings and photographs. It is upon this documentation that the breed was founded and then the name was trademarked by Mrs. Karen Markel, Majestic View Kennels, in the mid-1990s. The NAID® today has proven to be a nationally recognized and registered dog breed exhibiting traits the Native Americans admired in their ancestral dogs. They are highly intelligent, versatile, enjoy extended longevity and are hypoallergenic. They are used as excellent hunting companions, therapy dogs, handicap assist dogs, search and rescue animals, weight competition draught pullers, skijoring dogs and exceptional family companions. Others have claimed that any dog sold as an Indian dog is not a re-creation. Original native dogs are extinct and have been since before the invention of photography. Indians themselves did not have a pure breed of dog. Theirs were mixed dogs. With the arrival of the Europeans, these dogs became interbred with dogs from Europe and other countries. Because the dogs were never a purebred dog, and because no one bothered to study into them much, it would be impossible to "re-create" them. 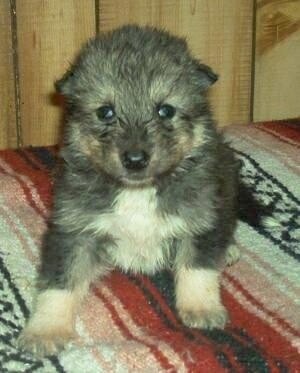 The NAID are a new type of dog started by one breeder. 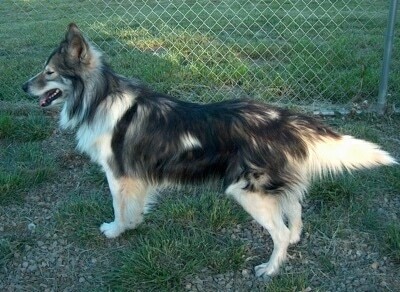 While others state: "One dog native to north America still exists. The Carolina dog which has been DNA tested to be American. 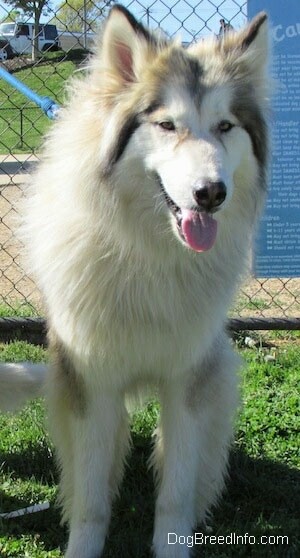 Also, the Naid does NOT resemble our native dogs. They resemble modern art work romanticizing natives with wolves. 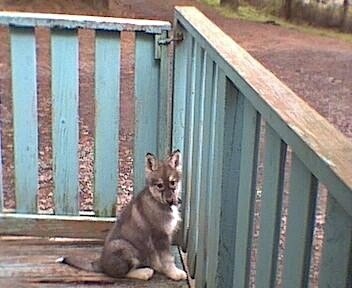 Our wolves, which have now been DNA tested are more coyote than actual wolves don't possess long coats like that. The weather would never permit. Cute dogs though, good name, but totally inaccurate in there representation. They're built off of western fantasies about Native Americans." "This is Catori. 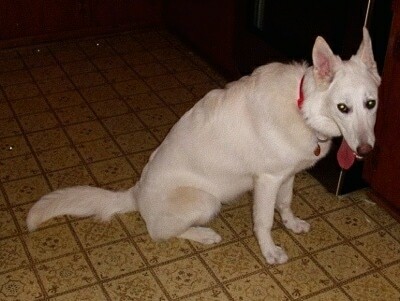 She is a 7-month-old Native American Indian Dog. She is very playful and loves to go on walks. I walk her about a mile a day. Although her breed is not known to protect she is a good protector. She is cautious around strangers and other dogs. She loves to lie by her family and be close to us. She is very intelligent. 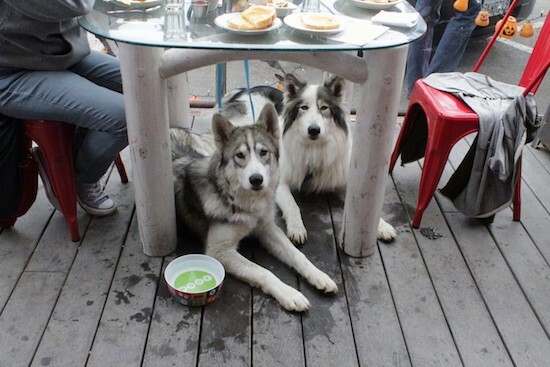 These dogs bond very strongly to their owners. Catori is the best decision I have ever made."